I get asked a lot "What do you mean this dress is vegan?" And it's a good question - many people think that veganism or vegetarianism is only about what you put in your mouth. But for me, eating vegan was the easiest part of the conversion I made almost two years ago. Cosmetics, shoes, and above all craft supplies, were among the hardest changes I had to make. So, what does that mean for my business? Well, to start it means I won't use any new animal products. No leather, of course. But you may be surprised to find out that for a vegan that also means no wool, feathers, or silk. It also means avoiding dyes that use carmine. But wait, you say, you don't kill the sheep to get wool, so what's the big deal? Well, for the most part, sheep are culled and severely mistreated in the commercial production of wool. This is the same for any cashmere or other related fiber, and can be extended to duck down and rabbit fur, etc. And for many vegans, the very act of treating an animal as a commodity is an affront - they are living creatures and should be treated as such. Raising them as a cash crop is in direct opposition to this notion. There are two gray areas particularly applicable to crafters - yarn that comes from locally and responsibly raised sheep, and second-hand or recycled materials. Personally, I am not opposed to the first. While I still find the shearing of sheep distasteful, these animals are treated very well, most primarily being kept as pets! Plus the purchasing of these yarns aids small business. As for recycled materials, that has to be a personal call. I occasionally use recycled wools, but I still will not promote the use of leather or fur via using those materials even if they are second hand. Because even if something is now second hand, it was new once, and may have been new quite recently. As important as it is not to throw things away, without stopping the cycle somewhere it will never end. Silk is yet another area that not all vegans completely agree on, but which I personally try to avoid. 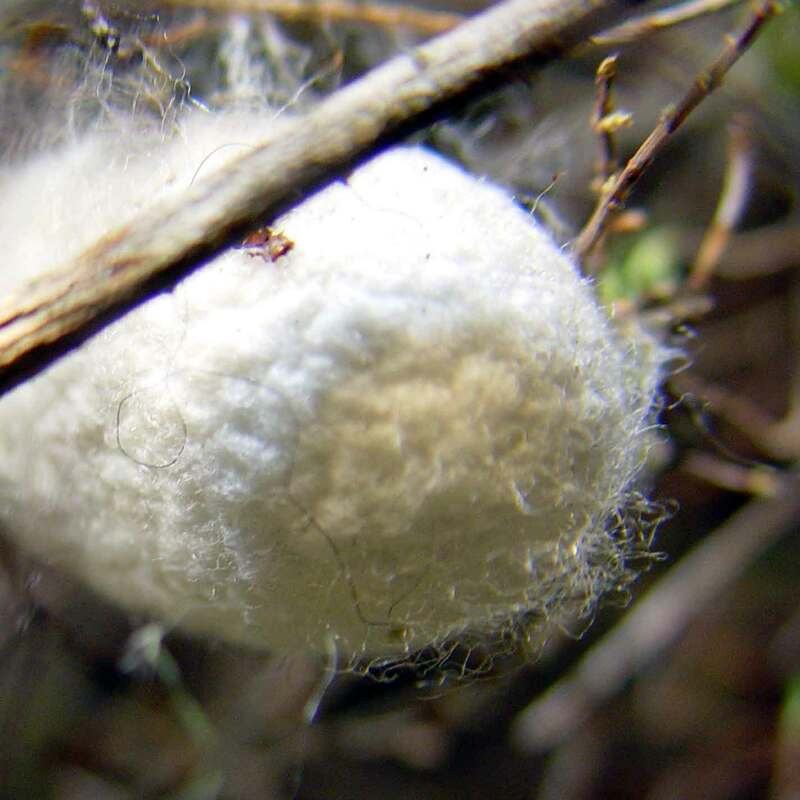 Commercial silk is created by boiling silkworms alive, to preserve their cocoons as a single thread (if they escape the cocoon, they break it so the thread is not continuous). In fact, modern silk is made from a domesticated worm which would be completely incapable of living in the wild and is useless other than to produce silk for us. Some people may then say "great then why not buy silk if they aren't good for anything else? ", but another view is to see this as an undue cruelty - to bring something into the world that never even has a chance at life. Similar to the issues of silk and honey, carmine is a red dye made by crushing up the husks of dead beetles. It is used extensively in cosmetics and for yarn and fabric dyes. Like silk, it is an undue cruelty, and when we have the ability to make so many beautiful shades of red and purple from plants and synthesized dyes, it makes no sense. Especially since once carmine is processed it is no safer for the environment than most synthetic products. So, in my quest to bring modern vegan street style to the world, I endeavor to use only plant and synthetically based materials, or appropriate recycled materials as stated above. The argument that leather and wool is somehow better for the environment because these are "natural" products has been largely debunked, provided PVC and other highly damaging materials are avoided, which is getting easier and easier to do. In short, we don't need to exploit animals anymore, and to end the cruelty would help the environment as well. So I'm making my contribution by sticking to vegan and recycled materials. Hopefully this article has inspired you to try finding alternative materials for your own craft! Thanks for this article Jen, it is so interesting to see the logic. It has inspired me! Good article. I've talked to some vegans who don't seem to worry about wool and silk and I've always wondered about that. So does this mean that certain synthetic materials are in fact more sustainable and ecofriendly than natural ones? Interesting.